Description Keep track of the incoming and outgoing traffic of a busy airport! Guide the planes and helicopters using your mouse for a safe landing, making sure to avoid any crashes! 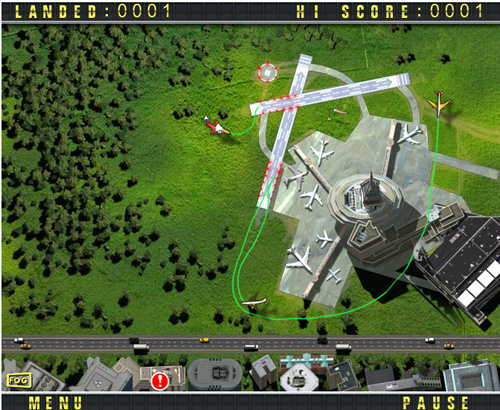 To control, click on the airplane/helicopter and hold down the mouse to draw a which the vehicle will follow. To get them to land, make sure the end of the guide is touching the landing strip/landing pad respectively. If a vehicle crashes into another, it's gameover! Controls Mouse: click, drag, point.